When I watched Sharkwater while studying abroad in the Galapagos Islands five years ago I never thought meeting shark conservationist Rob Stewart, let alone diving with him would be a reality. Well last week during the Turks and Caicos first annual Shark Conservation Weekend #TCIShark crew slipped beneath the turquoise water with Rob and other influential shark conservationists. It all started with the annual Turks and Caicos Reef fundraiser with an amazing turnout and over $10,000 earned for local reef conservation. Guests were greeted at the door with a hug from our 6-foot tall (and handsome) shark! Rob Stewart kicked off the night as the keynote speaker and everyone talked about sharks all night. The next day was filled with school visits with 13 schools in attendance and over 400 children listening to Rob Stewart. There was a dancing shark, smiling faces, and questions galore! We couldn’t believe how much these kids already knew about sharks and how technical their questions were! Later that night our dancing shark got his groove on at the famous Island Fish Fry where he danced with Henry the Conch and was hugged by hundreds of tourists and locals. He was one sweaty shark! Friday was a treat when TCI shark crew went to Amanyara resort for a brunch where the future effort of shark protection was discussed. Then the shark crew whisked away to dive with Big Blue Unlimited and the Reef Action Team of British West Collegiate. The kids were ecstatic to dive with Rob and they even saw two sharks! Saturday night was the biggest success of all. Over 250 people from the community came to discuss shark conservation with Rob and attend the public screening of his award winning film Sharkwater. Jackie Walker from Amanyara’s Nature Discovery Centre held a poster competition on why sharks are important to the marine ecosystem and how we need to protect them. Many local schools participated and one school alone had 63 entries! There were sharks posters everywhere and the top two winners of each school came on stage to receive their hard earned shark goodies! Shark conservation weekend was wrapped up with a hop over to Grand Turk for a public screening of Rob’s film. The national museum’s theatre was full of interested folks who wanted to learn about what they can do to protect sharks. TCI’s first Shark Conservation Weekend was proudly sponsored and supported by Pew Charitable Trusts, Amanyara, the Department of Environmental & Maritime Affairs (DEMA), Big Blue Unlimited, TC Reef Fund and the Wine Cellar. TCI Government has taken the first steps towards shark protections by banning export of all shark products! There are more shark conservation in the Turks and Caicos Islands and Shark Stanley’s snapshots on Facebook! Tina Randall lives in the Turks & Caicos Islands and has a BSc. Environmental Biology. 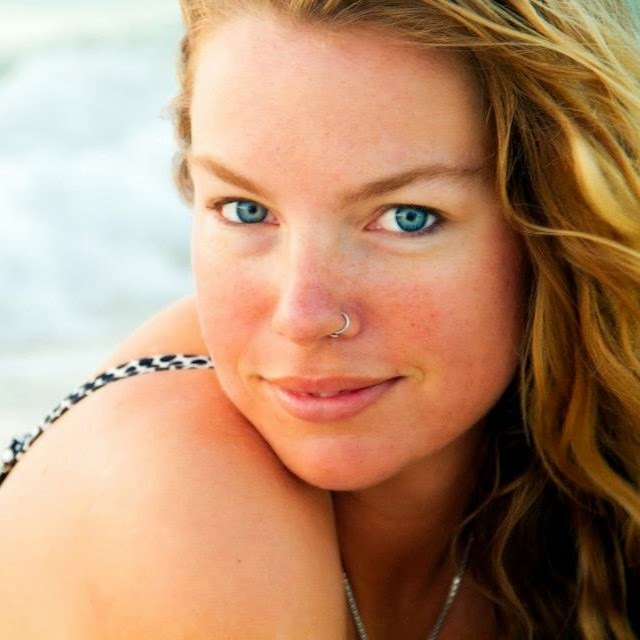 She is TCI's Shark Stanley Ambassador. You can follow her adventures saving sharks in the Caribbean on Twitter.